Tagline: A lonesome surfer is roaming the dark waves of Central California. 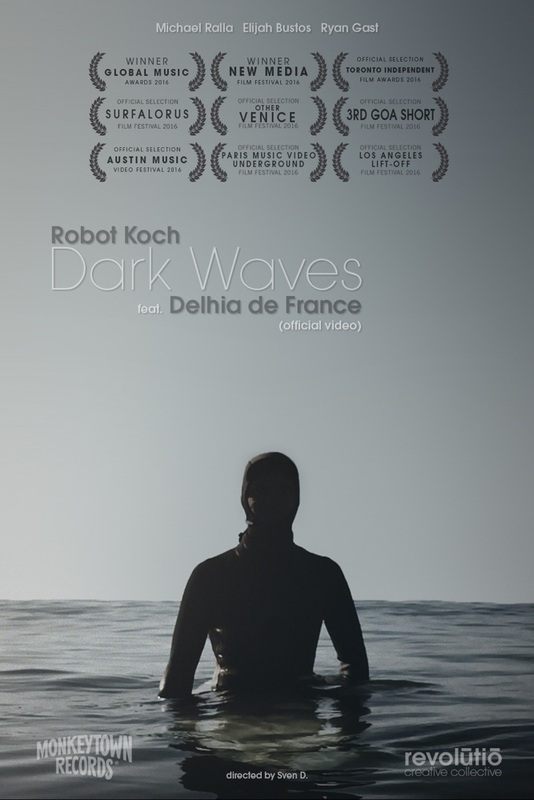 Synopsis: Dark Waves is a surrealist and surf-themed music video for producer Robot Koch and singer Delhia de France’s song Dark Waves from Robot Koch’s dark and ethereal 2016 album Hypermoment. In it we are following a lonesome rider roaming the dark waves of Central California.